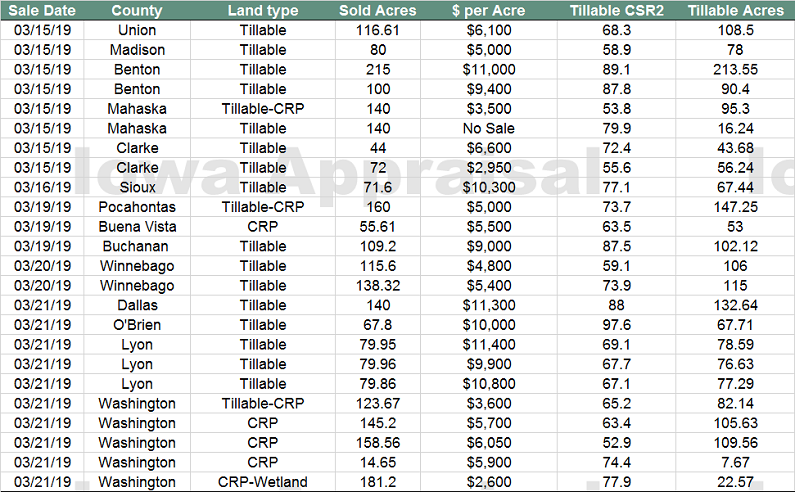 Auction activity was up this week with 2,629 acres auctioned, of which 2,053 were tillable. One farm was a “no sale” last week. Several farms sold north of $9,000/acre. The market appears to be steady.